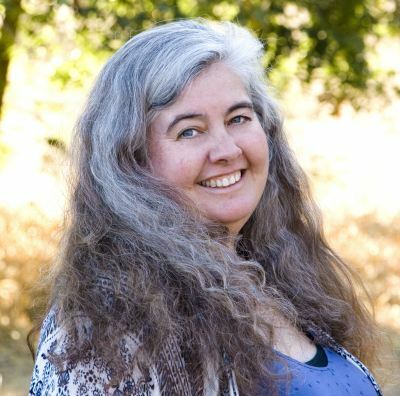 "Gratitude is the first word that comes up when I think about Nora and her incredible enlightening work together with the Pleiadians and all the other multidimensional beings she channels. I came across her work in 2010 and have been learning and growing ever since. A true gift during the great shift in consciousness we currently experience on this planet. The enormous body of information she brings through combined with her clarity, straightforwardness and warm sincerity has spoken to me on many conscious and subconscious levels. She and her entourage helped me to open up my mind at the appropriate time in order to expand as a person and beyond." You guys are The. Best. Thank you for the best channel yet!!! My 3D mind can't wrap around that each channel is better and better, but the 5D part of me says "YAHOO!!!" Have an awesome weekend and can't wait to see what happens next!" "I am so grateful that I found Nora! A client of mine referred me to her work and from the first download I listened to I was hooked. All the information and meditations Nora and the guides offer ring true to me and I have implemented much of what I have learned through the recordings into my life with wonderful results. After listening to pretty much all of the downloads she offers I decided to get a private session. I had been having vertigo spells for almost a year. I had been to doctors, chiropractors, acupuncturists, massage therapists, and also had other psychic readings and energy work of various kinds. While much of it worked temporarily the dizziness would always come back and it was really affecting my quality of life. In my session I received guidance about the vertigo - what was causing it and how to handle it when it happens. It worked! I am so grateful! The advice and insights Nora and the guides give is clear, concise, and positive. Even when telling you something difficult it is put in a way that is uplifting and seems easy to handle. I have since called in with other questions and have booked another session. I have also recommended Nora to many of my friends and clients." "I love participating in Nora’s monthly teleconferences because it is a great way to connect with like-minded friends from around the world, and to receive a monthly dose of new information, guidance and healing. Nora’s group sessions and lectures are full of leading edge channeled material that has helped catapult my spiritual transformation and opened my galactic awareness. I highly recommend Nora’s series of workshops entitled ‘Integration and Quantum Acceleration’, as they were some of the most amazing and inspiring channeled work I have listened too. Nora is not only an exceptionally gifted channel, but a loving teacher, guide, and friend." "I feel so much gratitude every time I hear the October 2014 transmission. To line up the aspects of myself in the loving and compassionate ways that you, the Pleiadians, and the fairies playfully suggest is one of the most creative and enriching experiences of my current state of aliveness. In our cultural chicken soup, It's so rare to experience emotional creativity, on purpose and grounded in love. What great fun! What great health, and what great love! Infinite thank yous, from my many aspects, here & now. Phenomenal!!!! This transmission is fantastic! "I attended the monthly teleconference with P's earlier this week and it was such an intense and healing transmission for me. I just wanted to take a moment to thank you for your work and for bring pleiadian wisdom in my life. Thank you so very much. I am already feeling light as a bird feather. Something shifted profoudly for me after the session. For the first time in 3 years - I feel like myself again. I feel I was lost and am found again :)"
I wanted you both to know how grateful I am to have access to your "Transformation of Pain" meditation. What a wonderful and powerful healing resource it has been as I move through an intense transitional period in my life. I have listened to the meditation countless times and each time I feel another layer of healing occur. It has assisted me greatly in deepening my connection to the darkest and most painful aspects of myself, aspects I had previously denied. The healing frequencies encoded within the music have activated deep cellular shifts, and at times, it's as though the harmonics are literally shaking my body and soul awake. The compassion and devotion you have poured into this co-creation has provided so much comfort and relief especially in the moments when I have felt so profoundly alone in my pain. Sending you both much love and gratitude. I look forward to your next healing creation!" I just want to give you some feedback on your channelling course. After I had done the first half of the third part I was lying in bed at night, floating between sleep and wake, when I suddenly saw a door that opened in front of me. The next day when I did the meditation of approaching the light I met all my guides, angels etc in a beautiful place. I did the automatic writing and words poured into my head and I wrote pages full of wonderful text. Archangel Michael showed me beautiful places where I always could come back, he said. Well too much to write here but the second day I asked my Pleiadian guide if he had some info without me asking a question. Something I did not know already and couldn't have made up. I suddenly saw a tree and heard him say; you have something with trees (I make patchwork and needlework art and often trees) because part of you is deva. Well there was more but the point is that I had heard the word deva but didn't know they were tree spirits. Afterwords I looked it up on the internet and there my confirmation Thank you so much for the work you do. I Love you."